In this article, we’ll help you understand more about CBD. If you are new to the world of cannabis, marijuana, and hemp, you are probably unfamiliar with words like cannabinoids and terpenes. So what is the difference between hemp and marijuana, anyway? What do terpenes do? What’s all this about? And isn’t marijuana illegal? If you have questions like this, just know you’re not alone! Many people are unclear on the specifics of the marijuana world. It can be challenging to learn a whole new set of vocab words and what different chemicals mean and do. Some words, you may have trouble pronouncing! Never fear, we’re here to help. 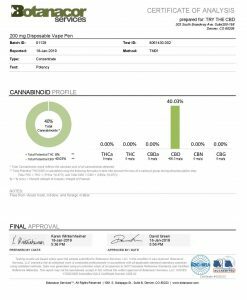 We are a reputable CBD company based in Colorado. We only sell high-quality products, and we are well informed on all things marijuana! 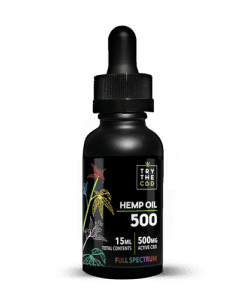 Let us show you in this article so that you can finally understand all you need to know about the ins and outs of CBD. Read on to learn all you need to know for a great introduction to the cannabis infused world. What’s So Different About THC? First of all, you may have a load of questions about what is the difference between hemp and marijuana. What is the difference between hemp and marijuana, anyway? Is there a difference at all? If marijuana is illegal, doesn’t that mean hemp is too? Not necessarily. Hemp and marijuana come from the same family of plants, but they have some important characteristics that separate them. The differences make for a completely different level of acceptance for each one. One of the most major differences is the purpose of hemp vs. marijuana. Growers produce hemp for completely different purposes. Hemp is not meant for recreational use. Marijuana is. Why? What’s the difference between hemp and marijuana? Well, there’s one main element missing from hemp that makes marijuana a recreational substance. That difference is THC. THC is one of the over one hundred different cannabinoids in the marijuana plant. THC is the chemical responsible for getting you high or stoned. Without THC, the plant does not have a psychoactive effect. That’s where hemp comes in. Because there are all kinds of great uses for the marijuana plant, getting high isn’t the only thing it’s good for. However, the plant that gets you high is, of course, worth more to people who desire to use it for that purpose. The difference is that hemp plants contain little to no THC. They are specifically grown to be used for different purposes. Usually, these are more industrial uses. For example, hemp can be used in rope, clothing, animal feed, and a whole host of other uses. Hemp does not get you high. No one wants hemp for recreational use because it won’t do anything for you in that department. So when it comes to what is the difference between hemp and marijuana, that’s the main one. Hemp doesn’t contain THC; marijuana does. Hemp is used primarily for industrial purposes and is best for uses other than getting high; marijuana is good for a lot of things, but recreational use is high on the list (no pun intended). Now that you understand what is the difference between hemp and marijuana, you are ready to move on to the next lesson. Since you now know that cannabinoids and terpenes play into this distinction between hemp and marijuana, it’s important to now look at what exactly these substances are. Understanding cannabinoids and terpenes is an important part of any person’s marijuana knowledge. In short, cannabinoids are the active compounds in the marijuana family of plants. Though marijuana contains many different chemicals as part of its makeup — like chlorophyll, which is responsible for the plant’s green hue — the cannabinoids are the chemical compounds that generate the different characteristics of the plant. Therefore you can think of cannabinoids as the substances giving marijuana its personality. They provide marijuana with the medical and recreational properties it is best known for. There are all kinds of cannabinoids, but THC and CBD are the most well known. These cannabinoids interact with receptors of the endo cannabinoid system in the body. In other words, cannabinoids are what make you feel high or what give CBD its soothing effect on you. 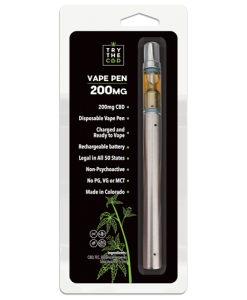 While THC is the psychoactive cannabinoid that will get you high, CBD is a nonpsychoactive cannabinoid that can deliver marijuana’s benefits to a person without causing them to get stoned. Cannabinoids can produce all sorts of different effects on a person’s body. Different cannabinoids are responsible for different things. That’s why it’s important to know what all the cannabinoids in hemp are, what they do, and be familiar with their properties. 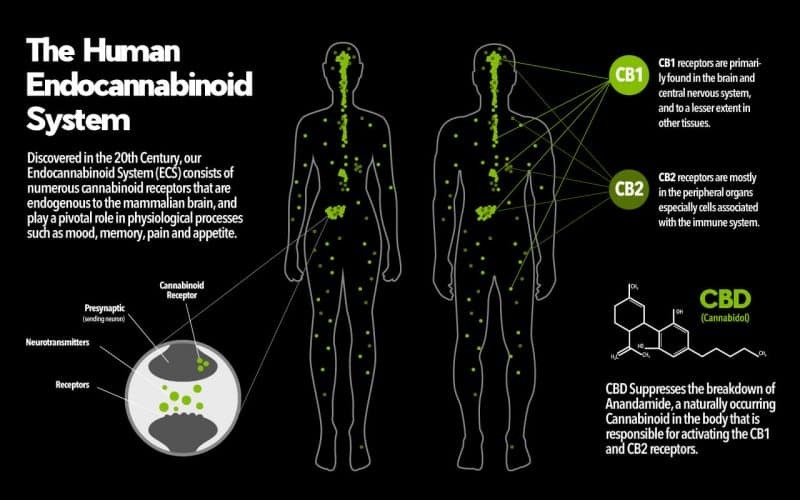 Cannabinoids interact with the body through the endo cannabinoid system. This is only a recent discovery. Our body has special cannabinoid receptors that interact well with the substances found in the marijuana or hemp plant. Our bodies produce cannabinoids on their own as well. That is likely what is behind our great relationship with the marijuana family of plants. Like cannabinoids, terpenes are also chemicals found in the marijuana family of plants. However, terpenes are the substances that give marijuana its flavors and aromas. More than anything, you can detect different scents of different strains of hemp because of the terpenes these plants contain. Without terpenes, marijuana would not have nearly the dramatic aromatic effect it has on a person! Different strains of hemp have different scents due to the terpenes it contains. Some strains are highly concentrated in certain terpenes, while others contain less or more of the same. However, like cannabinoids, terpenes are also thought to have positive effects and therapeutic benefits. For example, the terpene limonene has exhibited positive effects on both depression and human cognition. These terpenes are not just found in marijuana or hemp. They are found in other plants as well. For example, both hemp and lavender oil are rich in the terpene linalool. People are eager to learn more about linalool because it has been shown to have positive abilities including acting as a sedative, anti-anxiety, and pain relief. Another terpene that many people know about is beta-caryophyllene. In some ways, beta-caryophyllene acts like a cannabinoid, as it can stimulate the cannabinoid receptors in the body. However, it is a terpene. It is also not exclusive to the hemp plant. Beta-caryophyllene will not get you high. It has a musky and an earthy taste with a fruity tinge in the end result of the flavor. It is a very power anti-inflammatory, which acts as a sedative and relaxes muscles. 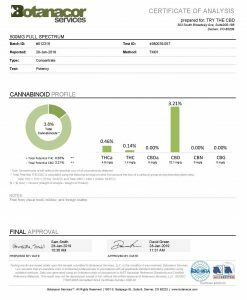 This can induce the couch-lock feeling that the strain indica is known for and according to the International Hemp Association, most strains contain a high level of this terpene. It can be identified by an earthy camphor smell; this one is also a medical terpene. It helps insomniacs sleep throughout the night and it is an antiseptic, analgesic, and a bronchodilator for the user. It is a flowery terpene that can also be found in the chamomile. It has been known to heal wounds and fight inflammation. Oracle is a good example of a strain high in alpha-bisabolol. This one has a citrus aroma and this one stimulates weight-loss and also treats a bronchial infection. It can also act as a preventative and treatment measure for cancer. It is also ideally perfect for cannabis-infused ointment because the medicinal properties in it make the skin penetration easier. As the name suggests they come from pine trees. It has a pine flavor and smell. It has been suggested that a large number of strains contain considerable amounts of both beta-pinene and alpha-pinene, which is good because it also has anti-inflammatory properties. It has a floral aroma with a spicy tinge in the taste. This terpene can be found in many plants, including mint, some flowers, and cinnamon, and even some mushrooms. Linalool helps with neural function, as it is good at modulating gross motor movement. It also has an anti-inflammatory property that is commonly used for liver cancer treatment. You will enjoy this one if the clove or pine taste appeals to you. This one seems unique to Jack Herer and other Jack varieties when it comes to the strains of CBD. It is an antioxidant, which keeps the body clean from the toxins. To the nose and tongue, it is very much herbal while it is also an antibiotic and anti-inflammatory. This is the reason that CBD kills ailments with such panache, that they do not realize what came to them and got away. Laboratory testing findings of camphene show it in high concentrations within indica strains of cannabis. Caryophyllene tastes like the cousin of marijuana called hops. This one is essentially beneficial for those suffering from depression, anxiety, and other stress-related ailments. Caryophyllene is found in the Train Wreck Strain, but concentrations are higher in soil-grown plants than in hydroponics. Of course, THC and CBD are the most commonly known cannabinoids found in the marijuana plant. But it’s important to note that hemp stands out because it contains very low amounts of THC, if any at all. CBD is a popular cannabinoid because it offers many of the benefits found in the hemp plant, but without the high. Some people use marijuana solely for the high, not the health benefits. But other people just want to experience the relief that can be found in marijuana and have no interest in the psychoactive effect. For these people, CBD is the perfect solution. Usually, people prefer CBD from hemp plants. You get all the benefits of marijuana but none of the high or laziness that can come as a result of THC. So what other cannabinoids are in hemp? To list just a few, there is cannabigerol (CBG), cannabinol (CBN), and cannabichromene (CBC). These cannabinoids, like CBD, also offer health benefits to a person. Cannabinol is another popular cannabinoid found in the marijuana family of plants. The cannabinoid CBN is a product of THC that was not stored correctly. For example, if the THC was exposed to too much light or heat as it grew, it will break down into CBN, changing its molecular structure. Scientists indicate through their research that CBN might be able to provide effects like anticonvulsive, appetite increase, and even antibacterial. It also has a sedative effect. 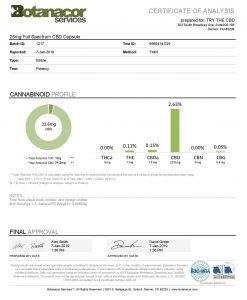 People have reported positive results of using CBN for pain relief as well. CBC is one of the less popular and little-known cannabinoids. However, in many strains, it is very prevalent. Like CBD, CBC will not get you high and does not have a psycho active effect. However, it does have effects on other parts of the body. It is like CBD in this way as well. Its similarities to CBD continue. It can also serve as an effective painkiller. However, in addition to that, CBC also has anti bacterial and anti fungal properties. It may even be able to help ease a person’s experience of depression. Other potential uses for CBC include treating diarrhea and treating acne. CBG serves as a foundation for all other cannabinoids in the hemp plant. It helps to produce all the other cannabinoids from itself. What are the potential benefits that CBG may be able to offer? Like the other cannabinoids. It seems CBG has a lot of therapeutic health benefits up its sleeve with none of the high. 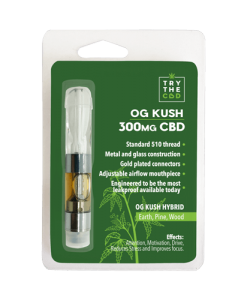 Some of the most common uses of CBG include pain relief, inflammation relief, antibacterial effects, antifungal effect. And even the ability to act as a neuroprotectant, or nourishment for the brain. Now that you know quite a bit about the cannabinoids and terpenes found in the hemp plant. Are you curious about the effects of the most popular and well-known cannabinoid out there — CBD? If so, you’re not alone! Many people all over the world are turning to CBD oil for its therapeutic properties. It offers many of the benefits that people love about the marijuana family of plants, but none of the high. 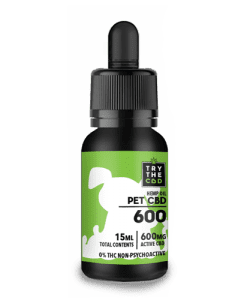 It offers all sorts of benefits, and people have reported a huge range of dramatic effects from using CBD. People are taking THC free CBD oil to treat a wide range of symptoms, from easing the misery of cancer treatments to slowing down the frequency of epileptic seizures. 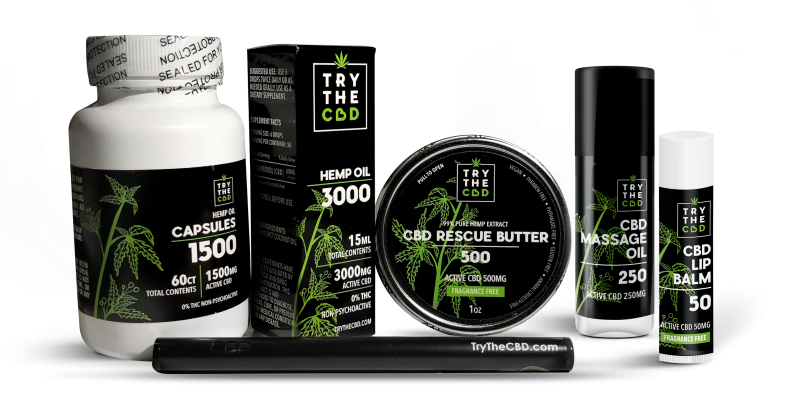 People turn to CBD for pain relief from menstrual cramping, chronic pain relief, arthritis issues, Parkinson’s disease, Alzheimer’s disease, and many more. Of course, we do not yet have definitive proof from scientists that CBD can cure or treat anything. Plus, the FDA has not approved CBD’s use yet for these medical cases. Still, the anecdotal evidence rising from around the world is enough to convince many people. After all, it doesn’t have a psychoactive effect and won’t get you high. It simply offers the benefits of marijuana with none of the high. People turn to CBD for its wide range of benefits. It is known to provide pain relief, depression, and anxiety relief, help with sleeping, and more. 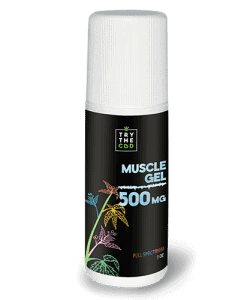 People use it as a neuro protectant to nourish their brain and even rub CBD into their sore muscles for relief after a hard workout. 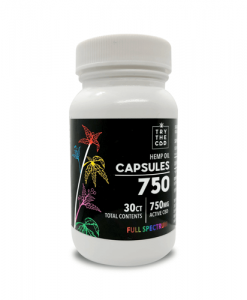 Are you ready to try hemp CBD for yourself? Did you learn about the difference between hemp and marijuana? This hemp cannabinoid may just be the thing you’ve been looking for to feel better. Or seek relief from whatever symptoms you may be experiencing. Disclaimer: The Federal Food, Drug, and Cosmetic Act require this disclaimer. We collected this information from various sources for the convenience of our customers. The statements made regarding these products were not evaluated by the Food and Drug Administration. The efficacy of these products is not confirmed by FDA-approved research. These products are not intended to diagnose, treat, cure, or prevent any disease. The information presented here is not meant as a substitute for information from health care practitioners. It is also not meant as an alternative to information from health care practitioners. Before using any product, you should consult your doctor and ask about the risk of interactions or complications. This entry was posted in Featured Story, Science behind CBD and tagged cbd vs thc for pain.